Spalding Court of the Ordinary, Spalding Co., GA Marriages, 1852 – 1966, Salt Lake City, UT: Genealogical Society of Utah, 1966 Repository: LDS Family History Library - Salt Lake City, Call # Film # 455,613 - 455,625. Rena Mae Culpepper and H. Y. Sindorf on 24 May 1906 in Spalding Co., GA, Book E-268. Billy Sindorf, Grandson, M, 6, Sng, GA/GA/GA. + Edward Hayden Culpepper, 10 Jul 1910 - 29 May 1957.
p 182; POB based on 1910 census location of parents. Sarah Culpepper, Dau, F, 7, S, GA/GA/GA. Sarah M. Culpepper, Daughter, 17, GA, GA, GA.
Mitchell County Court of the Ordinary, Mitchell Co., GA Marriages, 1861 – 1960, Salt Lake City, UT: Genealogical Society of Utah, 1967 Repository: LDS Family History Library - Salt Lake City, Call # Films # 522,772 - 522,780. Edward Hardin Culpepper and Katie McLauchlin on 21 Apr 1935 in Mitchell Co., GA, Book 1928-1940, p 291. Edward H Culpepper Sr. and Katie M Culpepper divorced in 1946 in Dade Co., Florida. Allene W. Culpepper, d. 2 Apr 1950 at 74 years in Mitchell Co., GA; Res. in Mitchell Co., GA.
+ Allene Starr West Culpepper, 1 Apr 1875 - 02 Apr 1950. Edward H. Culpepper, d. 29 May 1957 at 46 years in Mitchell Co., GA; Res. in Mitchell Co., GA.
p 182; POB based on parents census location. Jerry M. Culpepper, d. 15 Aug 1958 at 82 years in Mitchell Co., GA; Res. in Mitchell Co., GA.
Photographed* 1930� She was photographed in 1930 at Atlanta, Fulton Co., Georgia. A. L. Culpepper and Bertie Ruth Baxter, W, 31 Dec 1920, Fulton Co., GA, Book 29-586, Paul T. Barth, M. G.
Eugene F. Culpepper, Son, M, 1 3/12, S, GA/GA/GA. Lloyd Culpepper Sr., 20 Apr 1958 at 72 years in DeKalb Co., GA; Res. in DeKalb Co., GA.
Bertie B. Culpepper, d. 2 Dec 1964 at 60 years in DeKalb Co., GA; Res. in DeKalb Co., GA. Biography* � Lloyd, Jr. was in the National Guard when the U.S. went into World War II and drafted into the Army. He was at Fort Bragg, when he met Iris Chlotilde Hatchell, who was living with her Grandmother near the base and worked at the local Dry Cleaning Shop. They were married February 12,1944. He called his sister, Mildred in Atlanta and ask her to buy the ring set, which she did. He was shipped out, to the South Pacific. By now, they were expecting them first child. Iris moved to Atlanta to live with Lloyd's parents, Lloyd, Sr. and Birtie, along with Lloyd ,Ir. 's siblings, Mildred, Gene, Mary Ann, Vivian and Linda. This was an awesome experience for a young expectant mother, who was an only child. She would often get on the street car and go to a movie. Lloyd was stationed at Leyte. The US defeated the Japanese in a decisive battle in Leyte Gulf in October 1944. He was discharged December 27, 1945, to 1070 Delaware Ave., his families' home. Separation center was Fort Mac, Atlanta, document was signed by Conway Borruss. Lloyd was a private, Battery A, 544th Field Artillery Battalion. He was blond with blue eyes, weighed 158 lbs and was 5'11 " tall. He had been a Sargeant, but he and his buddies in the Philippines got their status busted for misconduct. After the war, Lloyd and his father built sub-divisions in Decatur, Ga. a suburb of Atlanta. Small homes were very much in demand for the GIs and their families. He followed this line of work for the remainder of his life. When building was poor, he did carpentry work. He had a stroke in the early seventies, recovered, but wasn't able to continue his career. He passed away January 8, 1994, at Northlake Hospital, Tucker, Georgia. He was laid to rest at Westview Cemetery, Atlanta, Georgia, in the family plot. Lloyd and Iris had four lovely daughters and two sons, all with blond hair, blue eyes and fair complexion. They were, Sylvia, Cynthia, Claudia, Don, Pamela and Bobby. Martha Culpepper, Gay, GA, 2001 records, Gay, GA Martha Culpepper to Lew Griffin, 2001. 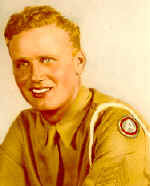 Lloyd Culpepper Jr., White, Single, born 1920 in Georgia, residing in Fulton Co., Georgia, enlisted as a Private in the US Army on 24 Feb 1941 in Atlanta, Georgia. Lloyd Culpepper, d. 8 Jan 1994 at 72 years in DeKalb Co., GA; Res. in DeKalb Co., GA.
Obituary of Eugene Fredrick Culpepper (#26116), published 26 Jul 2010. Spalding Court of the Ordinary, Spalding Co., GA Marriages, 1852 – 1966, Salt Lake City, UT: Genealogical Society of Utah, 1966 Repository: LDS Family History Library - Salt Lake City, Call # Film # 455,613 - 455,625. Archie J. Culpepper and Miss Mabel Marrie Jones on 7 Feb 1910 in Spalding Co., GA, Book F-115. p 182; POB based on 1910 census. Mabel Culpepper, Wife, F, 18, md1-3 mos, ch 0/0, GA/GA/GA. Mary V. Culpepper, Dau, F, 9, Sng, GA/GA/GA. Mary V. Culpepper, Dau, F, 18, S, GA/GA/GA. Archie J. Culpepper, d. 10 Sep 1965 at 82 years in Spalding Co., GA; Res. in Spalding Co., GA, # 025364. Mabel J. Culpepper, d. 17 Feb 1977 at 84 years in Spalding Co., GA; Res. in Spalding Co., GA, # 006276. Spalding Court of the Ordinary, Spalding Co., GA Marriages, 1852 – 1966, Salt Lake City, UT: Genealogical Society of Utah, 1966 Repository: LDS Family History Library - Salt Lake City, Call # Film # 455,613 - 455,625. Mary Viola Culpepper and Francis X. Evans on 9 Aug 1934 in Spalding Co., GA, Book I-190. p 182; location SSN Death Index. Spalding Court of the Ordinary, Spalding Co., GA Marriages, 1852 – 1966, Salt Lake City, UT: Genealogical Society of Utah, 1966 Repository: LDS Family History Library - Salt Lake City, Call # Film # 455,613 - 455,625. Laura Pearl Culpepper (Miss) and Robert Malcolm Lee on 26 Jun 1901 in Spalding Co., GA, Book D-34. Katie J. Culpepper, Dau, F, 7, Sng, GA/GA/TN. Earnest F. Culpepper, d. 6 Oct 1928 in Fulton Co., GA, 26749-J. Barbara L. Williams, Granddaughter, F, 3/12, S, GA/GA/GA. 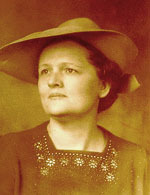 Katie B. Culpepper, d. 14 May 1933 in Fulton Co., GA, 10570. E-mail written 2001 to Lew Griffin from Barbara Williams Winters.